People who fil out a Holiday Station application are looking to join a company that strives to offer their customers outstanding customer service while giving as much support to their local communities as possible. Links to apply for jobs at Holiday Station are at the bottom of the page. Currently, Holiday Station has over four hundred and fifty locations in ten states, mostly in the Northern United States. The company is headquartered in Bloomington, Minnesota and franchises a majority of their locations. In 2013, they were ranked as the twenty-fifth largest convenience store in the United States. 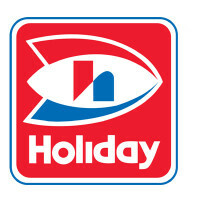 At their gas stations and convenience stores, Holiday Station sells their captive brand, Holiday Pantry, which sells products that include coffee, bakery items, and various candies, among others in their convenience stores. Some Holiday Stations franchises have made arrangements with various food companies to have restaurants within their gas stations. Holiday Station strives to be a great place to work, offering their employees various benefits while the store itself works to create a better community. Often, community fundraisers are held with the location or the Holiday Station gives money to worthy causes. At the corporate level, there are several Holiday Station careers based out of their Bloomington, Minnesota office. Most positions are geared towards making sure that everything is running smoothly with the franchises. Other positions work exclusively in the corporation aspect of the business to make sure that it is growing. Locally, there are several positions available working in various franchises across the Northern United States. A majority of the open jobs are customer service focused, making sure that every customer that comes in or buys gas gets the best service possible in some of the cleanest stores possible. How old do you have to be to work at Holiday Station? Age requirements vary by position; however several jobs need you to be over eighteen. As you browse Holiday Station jobs online, read all the position requirements closely as some jobs need various degrees, experience, or certifications. At some franchises, and depending on the position you hold, only some people with Holiday Station jobs get benefits. Full time employees get medical/vision/dental/life insurance, disability, holidays, and sick days. People with part time employment get discounts, flexible schedule, 401K, and access to a scholarship program. Order Filler – When stores make orders, you will go through the warehouse and select the requested products before packing them up. Once you’ve done that, you will help load the truck to make sure that the order reaches its destination. Compensation is around $25,000 a year. Sales Associate – As customers come in, you will greet them with a smile before checking them out, after making sure that the customer has everything they need. As needed, you will maintain the cleanliness of the store, on the inside and the outside. Compensation is around $25,000 a year. Tax Manager – Before and during tax season, you will work to make sure that the corporation meets all state and federal tax codes. When issues arise with the tax codes, you’ll research and analyze the issue. Compensation is around $70,000 a year. Administrative Assistant – You will provide general administrative support in the corporate offices. Those duties include preparing various types of correspondence, organizing and filing documents and processing franchise store credits, among others. Compensation is around $25,000 a year. Sanitation Technician – Maintaining a clean station is what this position is all about. As needed, you’ll sweep and mop the floors, separate garbage from recycling, and make sure that all equipment is working properly. Compensation is around $25,000 a year. Why do you want to work for Holiday Station? As this is an extremely common interview question, you should be prepared for it. Talk about what drew you to the company, whether it was the culture or benefits, and why it’s your first choice in places to work. What experience do you have? Highlight all of your relevant experience. If you don’t have any, instead talk about what you can bring to position and offer the company. Use plenty of examples to support and enhance any of your claims. Where do you see yourself in the next few years? Your interviewer wants to know if you plan on staying with the company. Talk about your career expectations, making sure to be realistic, and about how you’re willing to take on extra challenges and responsibilities in order to move up in the company. As the Holiday Station relies heavily on customers for their business, you may be asked this question in the form of a hypothetical situation: How would you take care of an upset customer? Be practical and realistic as you walk your interviewer through the steps you would take to turn the customer’s experience around. Several positions require you to stand for long periods of time and carry heavy objects, so you may be asked this question: Is there anything that can keep you from doing your job? Be honest, the company will try to work with you to make sure that you’re comfortable and can do your job professionally. How to apply for Holiday Station online: decide which branch of the company you would like to work in. Once you’ve done that, find the position that you want in the area where you live and read all the job requirements closely before filling out your Holiday Station application. There is no printable application for Holiday Station available on their website. Before your interview, do research on Holiday Station and the industry in order to create a list of questions that you can ask. For an entry level position this may seem excessive, but it will place you in front of the other candidates as it shows that you think ahead and are prepared. Your interview will probably be in a semi-formal setting, so dress nicely in business casual, if you can. If you’ve applied for a managerial or an upper level corporate position, a suit would be appropriate. Have a positive and friendly demeanor when you attend your interview as it will give a good impression. Show gratitude at the opportunity to interview with Holiday Station. Afterwards, inquire about the best way to check on your hiring status. Some, but not all, applicants will learn if they got the job during their interview as the Holiday Station will to screen all candidates before making a final decision on who they hire. 76 Gas Station: Visit the job application for 76 Gas Station to apply today. 7 Eleven: Visit the 7 Eleven application. Kum & Go: See our guide for careers at Kum & Go. On The Run: For career opportunities, fill out the On The Run online application. Murphy USA: See this page for jobs at Murphy USA.